Make an appointment today to see this 5 bedroom stunner with an awesome layout. Living, entertaining, working and playing will be a dream in this flexible and spacious floorplan. You'll love the way the great room opens to the kitchen which features solid surface countertops, 42" cabinets, breakfast bar and huge walk-in pantry. Also on the main is a bedroom and full bath perfect for guests. Upstairs there is an expansive owners suite with tray ceiling, large walk-in closet, garden tub, dual sinks, and a separate shower. There is also a big loft area great as a play area or just bonus space. Secondary bedrooms are all a good size as is the laundry. House sits in a quiet cul de sac and has a pretty rocking chair front porch. And wait till you see the spacious 3 car garage. 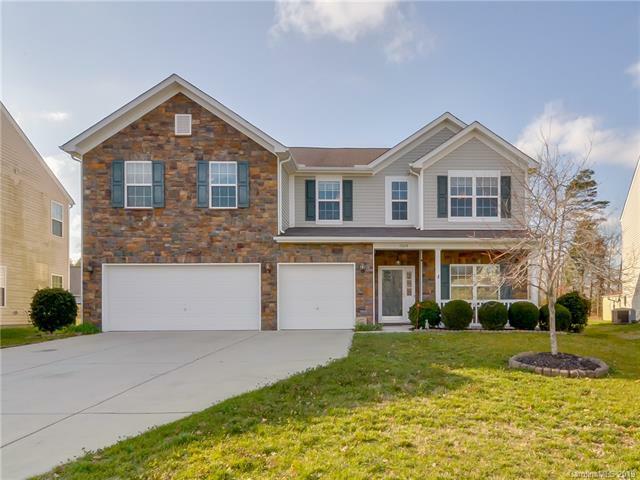 Low Cabarrus County taxes and sought after schools. At this price it won't last long.